Looking for a special and unique gift for a child they will forever remember? Are you looking for something meaningful that they will love and will last a lifetime? If this sounds like a great gift idea, then consider music lessons this holiday season. 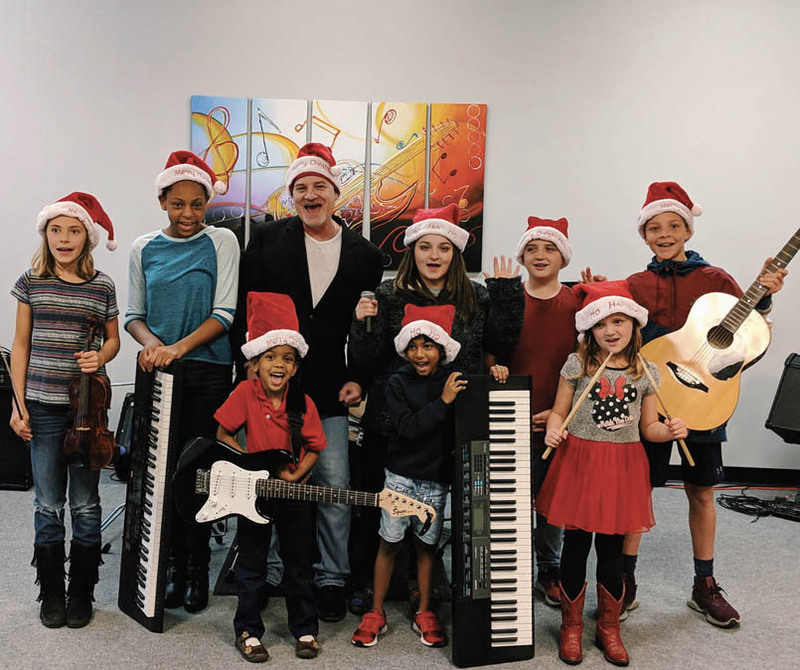 Whether the gift is for your own child, a family member or a friend, here are a few benefits of giving music lessons as a gift this holiday season. If you want to give something different this year, gift an experience. Music lessons are unlike the usual holiday gift items that are in wrapping paper and bows. Shortly after the holidays are over, the gifts are forgotten and somewhere collecting dust. Music lessons give the experience of a gift that lasts beyond the holiday season and provides long-lasting happiness. Students at the Conway Institute of Music with Jim Skelton, executive director /owner. The invaluable skills that music lessons provide can help a student’s personal, social and academic development. A student of music can foster and develop an appreciation for being creative, confident and persistent in their efforts to improve upon a new ambition. Music lessons, exposure to recitals and positive, constructive feedback from teachers will leave a child with a newfound sense of confidence. Music lessons provide a platform for children, teens and adults to set goals and watch them unfurl in front of their eyes. The skills learned in a music lesson or during a recital are applicable outside the realm of just music. For example, if a student takes voice lessons, they’re working to improve their tone of voice. This will, in turn, make them more confident and direct speakers in the classroom or at work. A young guitar student who sits in a mentoring session for 30 minutes will not only progress in their musical abilities, but will also develop other essential skills, such as their attention span and practice habits. Music lessons teach students the value of completing a task once it is started. The process of following through on an entire process is a valuable skill that helps mold a student into a successful and motivated person later in life. For more information about music lessons, check out my No. 1 Amazon bestseller “The Ultimate Guide to Music Lessons,” an easy-to-read resource, written for anyone interested in learning to play an instrument or sing. This book covers the basics from A-Z and answers the most commonly asked questions people have. Pick up a copy on Amazon.com or stop by the school and get a free copy when you stop in for a tour. Time is wasting and childhood is finite! We only have so many days on Earth to try new things, learn new skills and practice commitment to a task we enjoy. The journey is fun and exciting, and it will allow your child to grow in ways you may not currently know are possible. Give the gift of music to you child, grandchild or friend this holiday season!